Choosing one product from Tata Harper for the Hall of Fame is like choosing a favourite child. You could if you really put your mind to it and it all depends on your mood on the day. 😉 Calm down. I’m kidding. There will undoubtedly be another Tata product in the HOF before too long, but for today, and the box, I went with the Rejuvenating Serum. Why? I hear you ask. Well: while the Tata cleansers could all hold their own individually in the Hall of Fame, it’s much harder to be specific when it comes to adding a one-serum-fits-all into a workable routine. Thus I plumped for the serum. A great serum to tackle signs of ageing in all skin types. Anyone concerned with visible signs of skin that is not looking its best. Apply AM and PM under moisturiser. I take a couple of pumps on to my fingertips, apply all over the face and leave to absorb for a couple of minutes. Moisturiser goes straight on afterwards. It is loaded with the usual Tata green ingredients, including narcissus, galactoarabinan, gotu kola, arnica, rosewater, rice berry, elderberry and calendula. All in all, designed to be firming, softening, protective, smoothing, plumping and helping elasticity. Vogue magazine called it ‘life-changing’ and Marie Claire magazine awarded it their Prix D’Excellence de la Beaute award. While I’m still not in love with the term ‘non-toxic’ on the packaging, green brands are huge in the US at the moment and I don’t see that wording changing any time soon. I’m looking at the product behind the claim, and for me, it stands up, whether you eat it or not…. 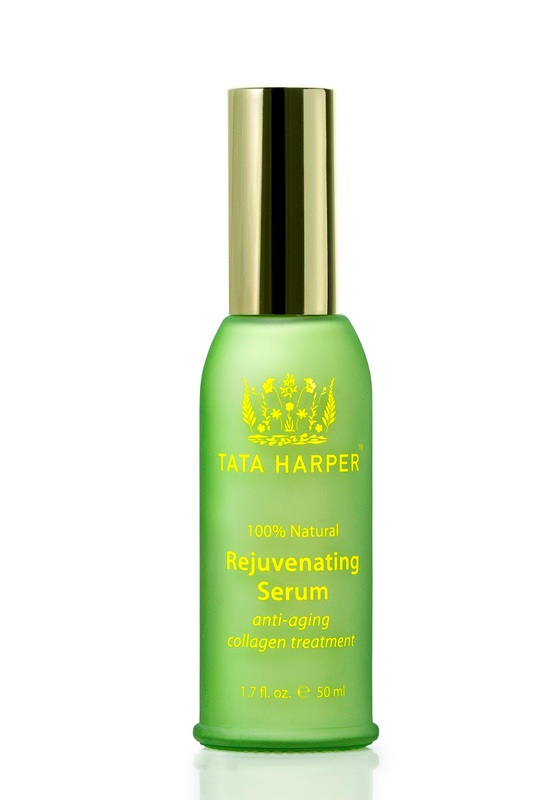 The Tata Harper Rejuvenating Serum is £80.00 for 30ml and available from cultbeauty.co.uk. Please note – there is no obligation on signing up to the box – you just get first dibs. Word to the wise: the cost of the box will be less than the combined total of the two items already revealed – and there are 6 items in the box. Next Post HUGE VIKTOR&ROLF GIVEAWAY!! !